There are many families in the United Kingdom who have to cope day in and day out with the illnesses or disabilities of a child or loved one. This can be a practice that is both emotionally and physically draining for those involved and it is sometimes necessary for a respite carer to step in. What is a Respite Carer? A Respite Carer is an individual – either male or female – who offers their time in order to allow those caring for someone with a disability (either physical or mental) to have a break. This break can constitute perhaps one day a week or a longer break if the full-time carers need a holiday or are suffering from ill health themselves. A Respite Carer does not necessarily need to be trained in dealing with a specific condition but they do need to undergo some basic health and safety training before they can embark on such a career – voluntary or otherwise. Who benefits from Respite Care? As we have already mentioned for the most part respite care is given to those who have the job full-time of looking after someone with a condition that debilitates them and renders them incapable of looking after themselves. Who Can Be a Respite Carer? 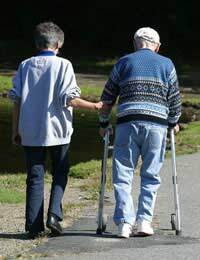 Anyone can be a Respite Carer but – as we have already touched upon – there is a level of training required in the area of Health and Safety as well as Lifting and Handling. It does not matter if you are male or female you can still be a Respite Carer but it is a help if you are in good health and have plenty of time to give. Your local Health Authority and Department of Social Services will be able to provide you with the criteria for being a Respite Carer as laid down in their region. If you are full-time carer and need some time to yourself – which is not something to be ashamed of by any means – then you can apply to your local council or Department of Social Services. Many carers need time to themselves in order to deal with their own families affairs or simply to recharge the batteries as it were. Caring for someone with a disability is a twenty-four-hour-a-day, seven-day-a-week job and the drains on emotional and physical resources can be great. Many carers simply need the opportunity to spend a little time by themselves or to attend functions and the likes. It is not an unusual request for a carer to ask for a holiday for example. It is difficult to take an individual with disabilities on holiday and therefore a Respite Carer may be able to step in. Respite carers can attend your home or the person you are looking after can be taken to them – just as they would if they were being fostered – there are hospices and special residential homes which specialise in respite care and you should find a list of them with your local council or Department of Social Services. Can I Be a Respite Carer? As we have already mentioned there are very few limitations to becoming a Respite Carer but it is worth checking with your local authority as to what their minimum requirements are. Anyone with some medical or nursing experience is a bonus but anyone with a compassionate nature and patient outlook are just as much an advantage. You should be aware from the outset that before you can become a Respite Carer – or indeed be responsible for the well being of anyone in what is best described as the vulnerable categories – that you should have an up-to-date Disclosure and Barring Service or DBS (formerly the Criminal Records Bureau CRB) check carried out. This DBS check is a compulsory requirement and is designed to ensure that all those who wish to work with children, the elderly or those incapable of looking after themselves, are not being placed at risk. If you feel you would like to become a Respite Carer it would be advantageous to have this check carried out before you make your application. For further information you should contact your local council or Department of Social Services and they will be able to provide you with the relevant information and also details on what experience or training you should have before you begin.